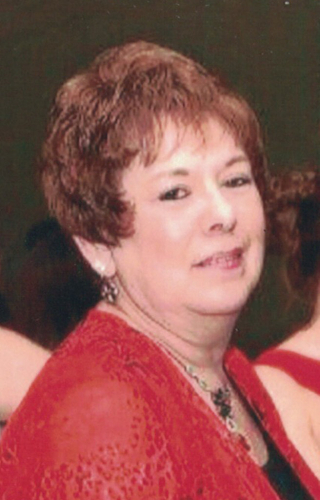 On Friday, March 22, 2019, Ann Marie DiCello - endearing wife, mother, grandmother, aunt, daughter and sister - sorrowfully passed away at the age of 68 after succumbing to her arduous but intrepid battle with cancer. She is also preceded in death by her sister-in-law, Deborah A. Fronza. Ann Marie was born in Pottsville, Aug. 25, 1950, to the late Robert Leo and Catherine Haeussler Fronza. She graduated from Nativity BVM High School in 1968 and worked as a jewelry clerk at Boscov's Department Store and later a jewelry manager at Walmart. She most recently worked as a cafeteria aide at Blue Mountain High School, where she was dearly loved by colleagues, staff and students. Ann Marie leaves a legacy of being a beautiful, endearing, devoted, and loving wife and companion to her husband and best friend, John H. DiCello, for 22 blissful and magnificent years of marriage. She was an unparalleled cook and baker, a selfless humanitarian, and an active, dedicated and loyal constituent of St. Ambrose Roman Catholic Church in Schuylkill Haven. Ann Marie will be forever memorialized by her surviving family, including brothers, Robert and John; her beloved children, Joseph, Eric, Randy, Tammy, Jevin and Justin; nieces, Kelly (Benedetti) and Nicole (Hirschman); nephews, John and Anthony; her seven darling grandchildren, Samuel, Ben, Levi, Zoey, Justine, MauriAnna and Gianna. Ann Marie will also be remembered by her extended family, acquaintances and cherished friends - all who will hold her dear inside their heart and allow her love for people, laughter and life itself to live on. A memorial Mass will be celebrated at 10:30 a.m. Wednesday, March 27, at St. Ambrose Roman Catholic Church, Schuylkill Haven, that will be officiated by Monsignor Edward S. Zemanik. A visitation will be held from 9:15 to 10:15 a.m. Wednesday at St. Ambrose Roman Catholic Church. Interment will immediately follow Mass at St. Ambrose Cemetery, Cressona. Ann Marie's family requests donations in her memory to Hillside SPCA, P.O. Box 233, Pottsville, PA 17901.